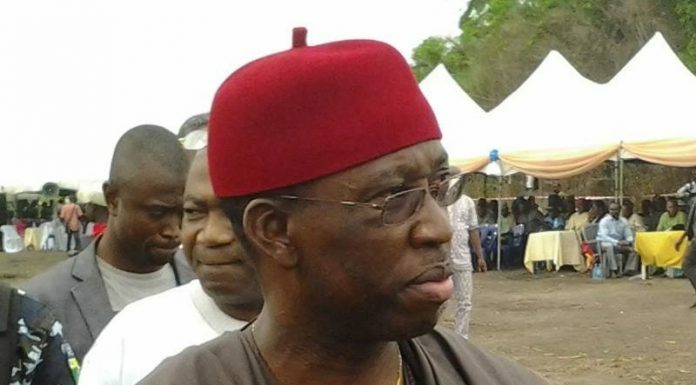 Governor Ifeanyi Okowa of Delta State has congratulated former Vice President, Alhaji Atiku Abubakar, on his victory in the presidential primary election of the Peoples Democratic Party (PDP). The people of Kogi State also yesterday trooped out in their thousands to celebrate the victory of Atiku as the presidential candidate of the PDP in the 2019 general election. A former Governor of Anambra State, Mr. Peter Obi, has also expressed delight with the emergence of Atiku as candidate of the PDP for the 2019 presidential election. Governor Okowa who extended his goodwill message to the former vice president in a statement issued yesterday by his Chief Press Secretary, Charles Aniagwu, in Asaba, said Atiku’s victory at the PDP presidential primary is a victory for the party and Nigerians, adding that he will defeat the ruling All Progressive Congress (APC) in 2019 election. He expressed optimism that having won the party’s ticket, the former vice president would leverage on his track record as an entrepreneur and great employer of labour to grow the country’s economy. Okowa further applauded other aspirants who took part in the keenly-contested primary and urged them to uphold the values and philosophy of the PDP by coming together to support Atiku in the forthcoming general election, in a bid to ensure the PDP emerges victoriously. The governor noted that the PDP values internal democracy, describing the success of the primary election as another testament to the PDP’s democratic credentials. He also assured members of the party and Nigerians that the party would not rest until they return the country to the part of good governance, rule of law as well as security of lives and property. “Congratulations to Alhaji Atiku Abubakar on winning the PDP presidential ticket to contest the 2019 general election. I have no doubt that Alhaji Abubakar’s track record as an entrepreneur and great employer of labour will be replicated in growing the country’s economy which will stand him in good stead in the elections. “I would also like to commend all the participants. I would like them to uphold the values and philosophy of the PDP by joining hands to support Alhaji Atiku in the forthcoming elections. “As a party, the PDP is serious about internal democracy in the party, and the success of the presidential primary, with 12 aspirants, further validates our party’s democratic credentials. Secondus, and members of the National Working Committee (NWC) as well as all other organs of the party on the success of the PDP national convention in Port Harcourt. Okowa also used the opportunity to appreciate members of the 2018 National Convention Planning Committee for their dedication to duty which led to the success of the convention. In a related development, a former Governor of Anambra State, Mr. Peter Obi, has expressed delight with the emergence of Atiku as candidate of the PDP for the 2019 presidential election. In a statement issued issued yesterday, Obi said Atiku’s victory shows the wishes and desires of most Nigerians. He said what the PDP delegates did in Port Harcourt reflect what Nigerians want – free and transparent election. Obi said since all the candidates were eminently qualified, the victory of Abubakar showed his wide acceptance. He commended other contestants for putting up brave contest and conducting themselves in a befitting manner. Describing Nigeria as a nation that has derailed off the paths of development due to what he called cumulative leadership failure, Obi said he has confidence that Abubakar has all it takes to restore the glory of Nigeria. “Having personally followed him in the past six months, listened and interacted with him on a number of issues negatively affecting our society, I observe in him a person who has the burning desire to leave a footprint in the sands of time,” he said. He called on Nigerians to offer the PDP candidate full support and thanked Nyesom Wike, governor of Rivers, for providing a conducive atmosphere for the convention. Meanwhile, the people of Kogi State yesterday trooped out in their thousands to celebrate the victory of Atiku, as the presidential candidate of the PDP. Our correspondent, who went to town immediately the result was announced, saw people in a joyous mood chanting ‘Atiku, Atiku our next President’. Drinking spots were filled up in Lokoja, the state capital, by the people as they celebrated his victory. Another person who spoke to THISDAY, Mr. Julius Emmanuel, said the people of Nigeria must come out to vote against APC because the situation in the country today needs God intervention. In Okene, Kogi Central, it was jubilation all the way as commercial motorcycle riders took over the road for the victory of Atiku. The situation was not different in Kogi west and Kogi east as people were all happy with the outcome of the presidential primary of the PDP. Also the former acting governor of Kogi State, Chief Clarence Olafemi, has described Atiku’s victory as victory for the people of Nigeria. Olafemi said all the aspirants have shown good quality leadership, stressing that all the aspirants were winners. In a related development, the Bayelsa State Governor, Hon. Seriake Dickson has described Atiku as a leader with requisite experience and knowledge to tackle the challenges bedeviling the country. A statement by the Special Adviser to Governor Dickson on Media Relations, Mr. Fidelis Soriwei, quoted him as having made the comment while speaking to journalists on the emergence of the former Vice president as the presidential candidate of the PDP at the party’s elective National Convention at the Amiesiemaka stadium in Port Harcourt yesterday. The governor commended the other aspirants of the party for demonstrating the spirit of sportsmanship by accepting the verdict of the delegates.